A new generation topical Hyaluronic Acid treatment for your lips. You will earn 68 LuxePoints! Amazing HA5 Lip System to Rejuvenate, Hydrate, Smooth, & Plump! Did you know that just like the skin on your face, the skin on your lips loses collagen, elastin, and hyaluronic acid (HA) over time? This can result in the loss of lip color (rosiness), overall lip definition, and contour leading to aged looking lips. Now you can help your lips remain soft, rosy and plump with the SkinMedica HA5 Smooth & Plump Lip System. It does just that! 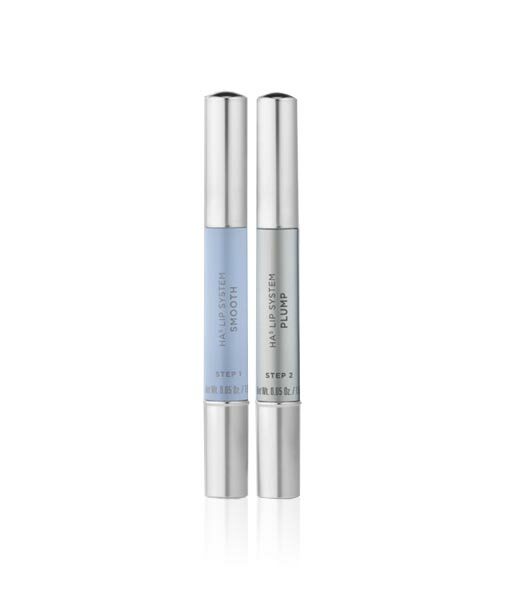 This easy to use system instantly smooths the appearance of fine lines, helps your skin replenish it’s own Hyaluronic Acid levels, and significantly improves the appearance of plumpness, rosiness, smoothness and lip contour! How to Apply the HA5 Lip System? Step 1 – Apply around the lips and lip contour. Step 2 – Apply only to the lip area, staying within the natural lip line. Why Should You Use HA5 Smooth & Plump Lip System? As we age the skin on our lips and around it slows down the production of Hyaluronic Acid, and this decline affects the collagen and elastin content which leads to many aging-related issues such as lip lines, lost of elasticity, diminishing red lip area, dryness and loss of lip definition. HA5 Lip System contains ingredients to help replenish the Hyaluronic Acid levels and to plump and increase the rosiness of the red part of the lip. This rejuvenated skin is smoother, moister and has more elasticity which is great for lip filler patients. Whether you have had your lips enhanced or would like soft, moisturized and plumped lips, the HA5 Lip System is a great addition to your beauty routine! Watch Dr. Bomer’s Lip Enhancement Anti-Aging Video Featuring Dr. Bouzoukis and learn all about your Lips and the importance of keeping it moisturized and hydrated! Love your lips with the HA5 Lip System from SkinMedica! staying within the natural lip line. Apply it 3 times during the day to achieve long-term results. Can be applied over or under lipstick. I love everything about the HA5 lips, the gloss feels yummy and the ha5 tube is very luxurious. They feel my lips soft and since I started using it (barely 4 days ago) I already can notice a difference. I only put it twice a day since I am too busy and forget, but I love it so far!